Nokia X3 02 is a touch and type handset with an impressive multiple functionality. It is a simple and user friendly handset. Nokia X3 02 will cost you around Rs. 15000/-. Recently Nokia launched its C-series mobile handsets and Nokia C5 03 belongs to this series. It will be available in many variant and vibrant colors which makes it stylish. The key fact of Nokia C5 03 is this that it is able to provide you the opportunity to enter data or text either by keypad or touch screen technology. You can enjoy dual functionality of typing with this handset. This handset consists of 2.4 inches TFT display with user friendly and expressive touch screen facility. This handset is capable of showing 256 thousand colors which makes the display both vibrant and expressive. 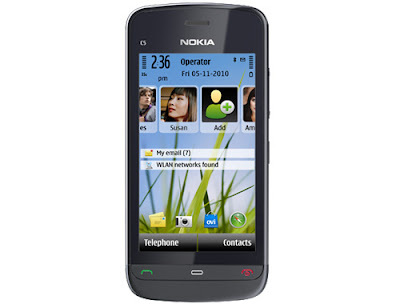 Features of Nokia C5 03 includes TFT 3.2 inches resistive touch screen which can display 360 × 640 pixels resolution. This much display resolution doesn’t match with brand new smart phone but sufficient for average user. Proximity sensor for auto turn off and accelerometer sensor for auto rotate are also available in this handset. Nokia X3 02 enables you to make photo call functionality and wide range of phone book entries. This handset also provides call record functionality which gives information about recent missed calls, received calls and dialed calls. Its internal memory storage capacity is of 50 MB and you can expand it up to 16 GB. 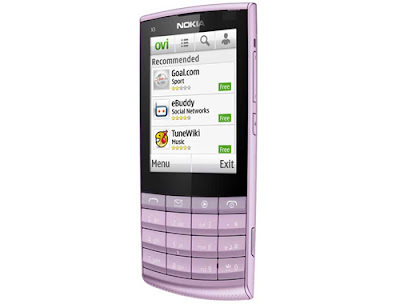 Nokia C5 03 is operated by Symbian^1 aka S60 5th touch edition operating system. There are also some advanced features which are built in this handset and they are mail for exchange support, Ovi Store, Ovi Music Integration, Ovi Mail and many more. Nokia X3 02 offers 5.0 mega pixel camera sensor which can take effective imaginary and it is also able to make video recording at 18 frames is a second in VGA quality. User can access internet with a speed of 10.2 MBPS through HSDPA connection. 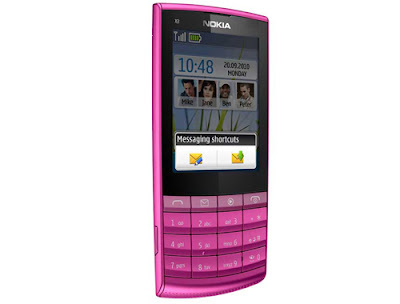 You can enjoy functionalities such as instant messaging, e-mailing, MMS and SMS with Nokia X3 02. Nokia C5 03 is supported by 5 mega pixels camera sensor with fixed focus and without flash. It can produce awesome images and able to make video recording. There is internal memory storage of 40 MB which can be expanded up to 16 GB through Micro SD card. Nokia C5 03 is powered by 1000 mAh battery which can give you stand by back up of 20-25 days.